Betty Jean Vinson Jones, 86, of Scottsville, KY passed away Wednesday, April 11, 2018 at Cal Turner Rehab & Specialty Care. The Scottsville, KY native was a retired clerk for the National Store and Minit Mart and attended Scottsville Church of Christ. She was a daughter of the late William Talcom Vinson and Delpha Ruth Richards Vinson and wife of the late Joseph Harrison Jones. 2 great grandchildren: Alex Edward Wallbaum and Cody James Wallbaum and several nieces and nephews. She was preceded in death by her other daughter: Jocelyn Jones Lott; 2 brothers: Harold Vinson and Howard C. Vinson and 4 sisters: Mary Ella Anderson, Amanda "Cricket" Wheat, Shirley Jones and Judy D. Blankenship. Graveside services will be 11:00 A.M. Friday at Crescent Hill Cemetery with Bro. Randy Wells officiating. 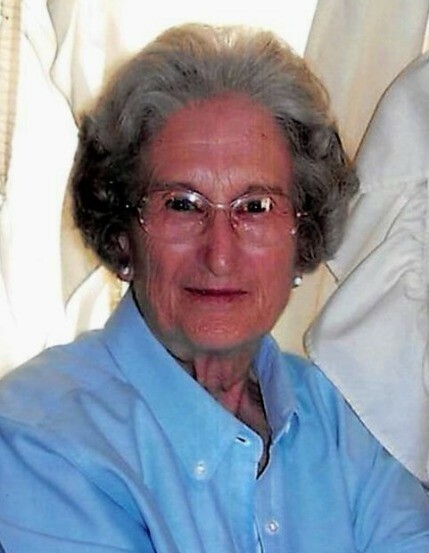 Visitation will be 1:00 P.M. to 6:00 P.M. Thursday at Goad Funeral Home.